Doing the groundwork, establishing your expectations and avoiding any nasty surprises before signing the tenancy agreement is a wise move. But what questions should be on the tip of your tongue when you’re looking to rent? In a survey by BDRC Continental, landlords shared what was most important to them when choosing tenants. Nearly three quarters go with gut instinct, with two thirds citing openness and a proof of income. A similar number said references and employment history would affect their decision. 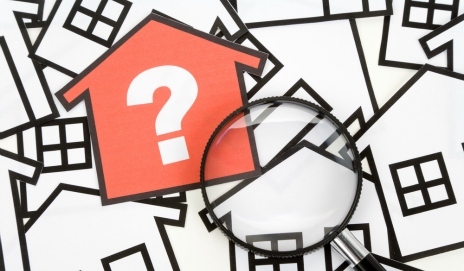 But what about the questions prospective tenants are asking? According to the same survey, outlandish requests aren’t as rare as you might imagine. Apparently, an optimistic potential tenant queried whether or not their ‘pet horse could be kept in the kitchen’. For my mum, renting is a distant and romantic memory. As such her requests for new rental properties were a bit more demanding: fresh mattresses, new sofas and a dishwasher. However, when my most recent landlord refused to even provide a fire alarm, I learnt that such things are pure fantasy. It’s worth a try if you’ve got the nerve though. On a serious note, it’s best to prepare a list of important queries before committing to a property, be it a long- or short-term contract. When it comes to letting agents, our latest research found wide scale poor practice, including unexpected fees and poor customer service. And two thirds of tenants don’t know whether their agent is signed up to a professional body (only 60% of agents are). The length of contract and break clauses: in case it all goes pear shaped, best to know how early you can get out. Utilities and council tax: Are any bills or taxes covered in the rent? If not, perhaps it’s worth switching providers to get the best deal. How safe is your deposit? Make sure you find out which tenancy deposit scheme your money is sitting in. Who to contact in case of an emergency? If not your landlord, make sure it’s someone close by and easy to contact. Maintenance: who has to deal with, and pay for, any maintenance? The landlord, tenant or agent? So, to the tenants out there, what are your most important things to request, double-check or barter for before renting a property? Interesting topic though as more and more people rent. Sorry diesel, that was my mistake. Fixed now and I’ve taken your suggestion. Yes, it’s amazing how people generally don’t tend to ask questions of their landlords/agents – it’s usually the other way around! The phrase “put into” a particuler condition in a tenancy agreement can create an obligation to make improvements. Just make sure that, unlike me, you get anything in writing that any letting agency assures you! My letting agent told me that the flat I was viewing was having a dishwasher installed shortly for me to find out from the landlord that it was never the case. The kick in the teeth is that I now have to stare at a dishwasher sized hole in my kitchen. I am intrigued that with new regulations on concealed flues coming into force on January 1st 2013 that letting agents seem not to be on the ball on Gas regulations. I mention that because yesterday we visited some neighbours who are renting a property with warm air heating and both their Carbon monoxide alarms triggered. The property has been altered and the airflow to the burner I think was inadequate which lead me to investigate further on my own account. I can see major ructions in the forthcoming months when householders are told that as they have no inspection hatches for their concealed flues the engineer is required to turn off the system. I think this official advice needs to be widely known. “What if I refuse the gas engineer permission to turn off my boiler?